The kitchen is a busy place, and therefore the floor generally has a tough job on its hands. It has to deal with muddy shoes, spilled food and drinks, while looking stylish and fresh, and hygienic. Choosing the perfect material for your lifestyle and space is crucial. There are various options out there with many advantages of each. It’s vital to identify your own considerations. Do you want a floor with a bit of flawed character or keen on more of a slick look? Do you want a floor that needs little upkeep or a floor that you’re willing to look after? Do you live in a large, busy household or an apartment with just a couple of you? 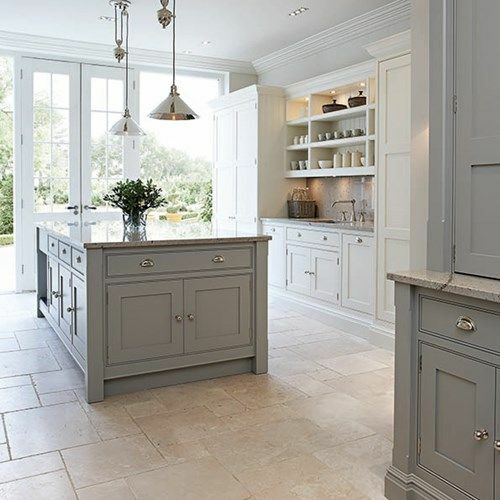 LVT (or Luxury Vinyl Tiles) are an excellent choice for a hard worked kitchen. Available in literally “thousands” of different decors, from wood to stone, to plain colours, to abstract, this is now the “product of choice” for lots of people. This type of product is regularly used in areas such as department stores and pubs/ restaurants, so this proves its abilities. 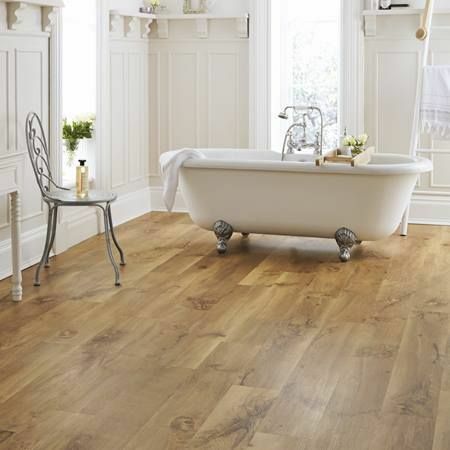 The main manufacturers of this type of product are Karndean, Amtico, Moduleo, Polyflor and Harvey Maria. If you’re on a budget, then our high quality vinyl sheet (also known as lino or cushionfloor) is fantastic. It replicates a number of surfaces such as wood and stone. Choose from many different designs, as the image is printed on the vinyl. Vinyl is easy to clean and is water resistant while also being friendly on the purse strings. The hard and thin vinyl is robust too. It can sometimes be laid over an existing floor and is also extremely comfortable and quiet underfoot. Real solid wood is a popular choice here at Allfloors. It comes in a variety of shades and grains and looks great in any housing environment, whether that’s rustic and traditional to something more modern. A knot design fits in great with an older type property while a uniform grain is ideal for a modern setting. Some of the pros for installing wood in your kitchen is that its forgiving underfoot while it’s also warm to touch. It’s sturdy, renewable, good looking and of course, long lasting. If treated well, solid wood can look great for generations to come. Solid wood can be stained in several colours while being sanded to look like new again too. This product is manufactured from two lengths of wood sandwiching a layer of plywood while engineered boards straddle the gap between the solid wood and the laminate. 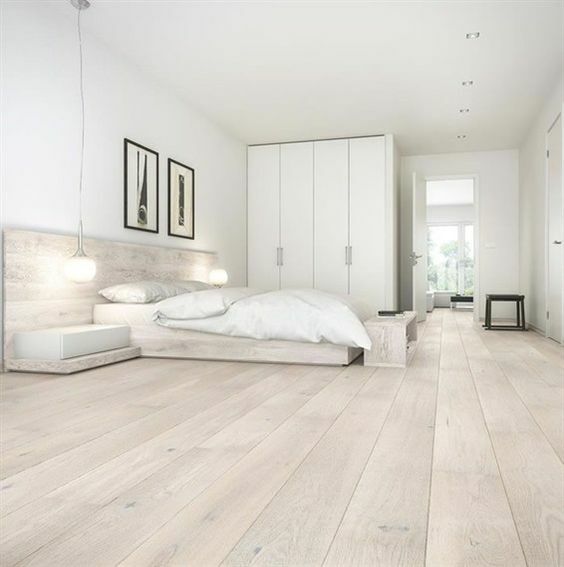 There are several advantages to choosing engineered wood – one of which is incorporating an underlay for sound reduction and heat retention. It’s important to go with decent quality boards that are tough and resistant to fading stains and wear. There’s choice with laminate, you don’t need to choose the wood look as there are other options out there like slate and ceramic tiles. Laminate is scratch resistant and quite tough so it’s a worthwhile choice for the kitchen. So there, you have it, different flooring options have numerous benefits. Please get in contact with us at Allfloors and we’ll happily help you discuss your requirements going forward!